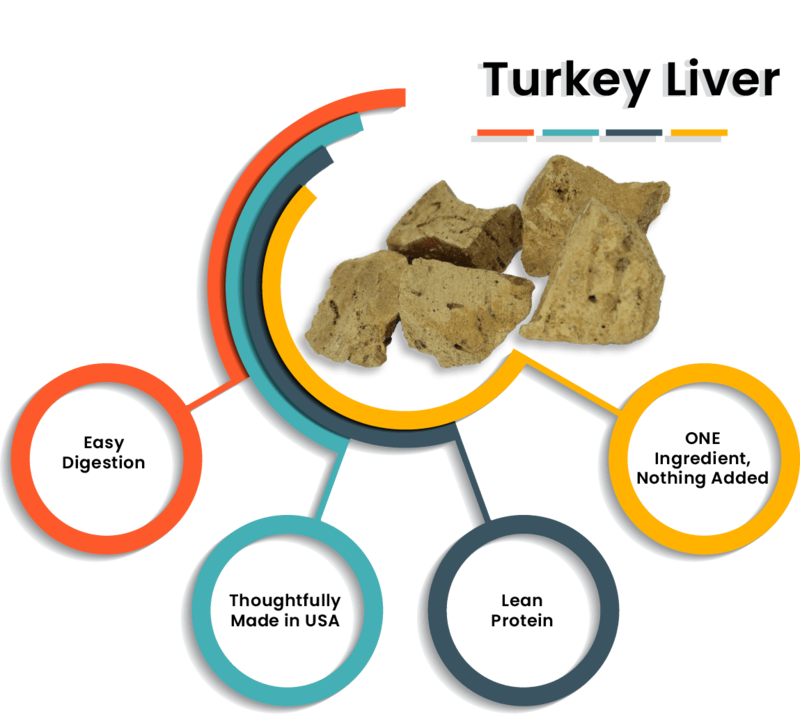 Turkey Liver is a very good source of lean protein also rich in vitamins and minerals, including thiamine, manganese, vitamin A, vitamin C, riboflavin, niacin, vitamin B6, folate, vitamin B12, pantothenic acid, iron, phosphorus, zinc, copper, and selenium. 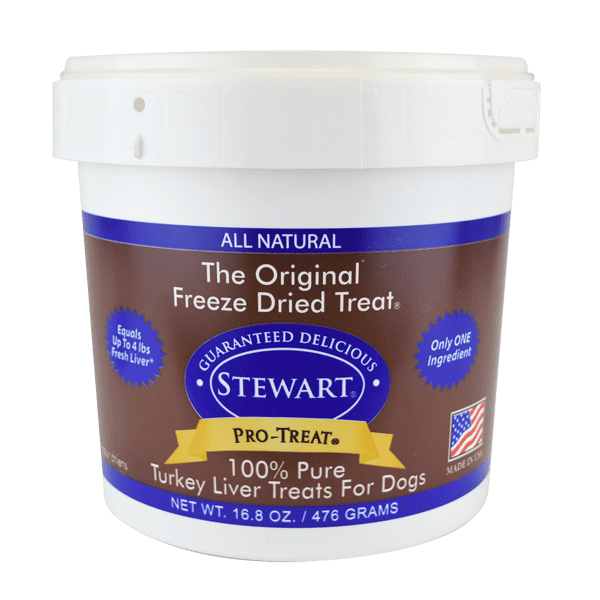 Stewart Pro-Treat turkey liver treats for dogs are all-natural healthy dog treats that contain only turkey liver. That means they are gluten free, grain free, additive free and packed with lean protein and nutrition. Our pledge to you is quality, innovation and purity to help your pets thrive and grow. From our home in the heart of the Midwest to yours. Our Turkey Liver Freeze Dried Dog Treats are made with 100% pure turkey liver. We use authentic ingredients, thoughtfully sourced and carefully processed under our own roof in the USA. Because we’re pet parents, too, our goal is to keep your pets nourished and happy every day with treats and food that are amazingly delicious. Single ingredient recipe: Just 100% pure turkey liver. Turkey liver is a nutrient-rich organ meat that dog’s love. 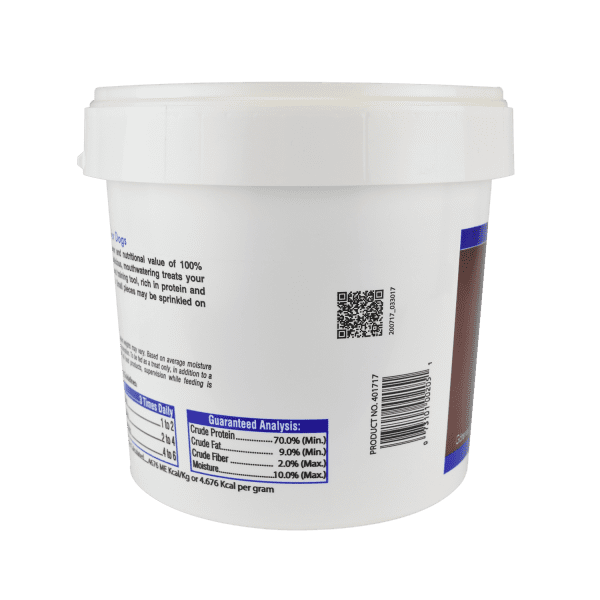 Support pet health and energy as turkey liver is rich in protein, fat and vitamin A, plus a good source of copper, iron, niacin, phosphorus and zinc. Rich in vitamins and minerals, turkey liver treats are a lean source of protein. All-natural dog treats with nothing added. Made in the USA from thoughtfully sourced, human-grade ingredients. USDA-certified ingredients gently processed in the heart of the Midwest. Grain free, gluten free, soy free, with no preservatives, no artificial colors, no additives. 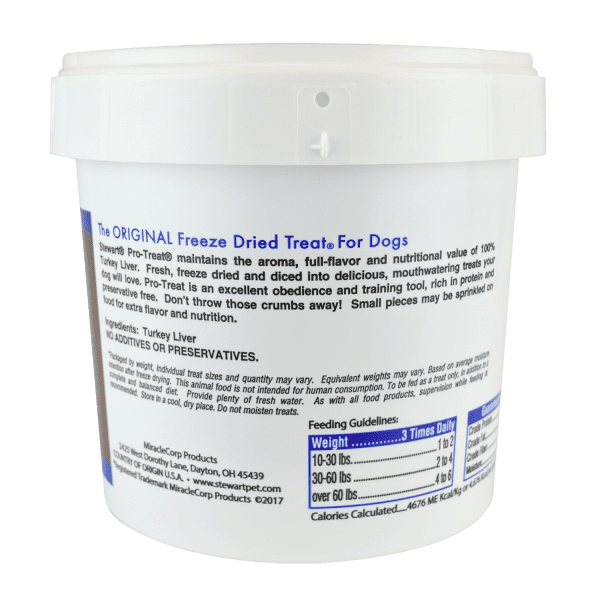 Freeze dried dog treats lock in freshness dogs love. 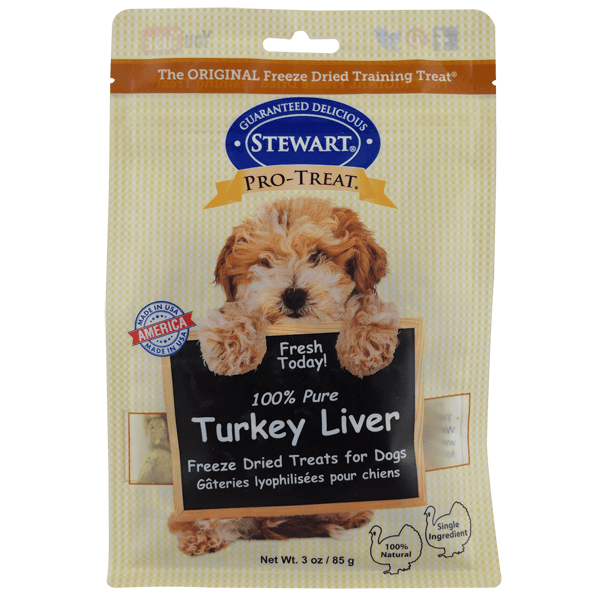 Nutrient-rich turkey liver treats for dogs are high in protein and ideal for picky eaters. Preferred by professional trainers as the best treats for training. Based on our 45 years of crafting liver treats for dogs. Healthy dog treat is a good choice for food sensitivities, dogs with allergies or those on a limited-ingredient diet. Perfect for all sized dogs. 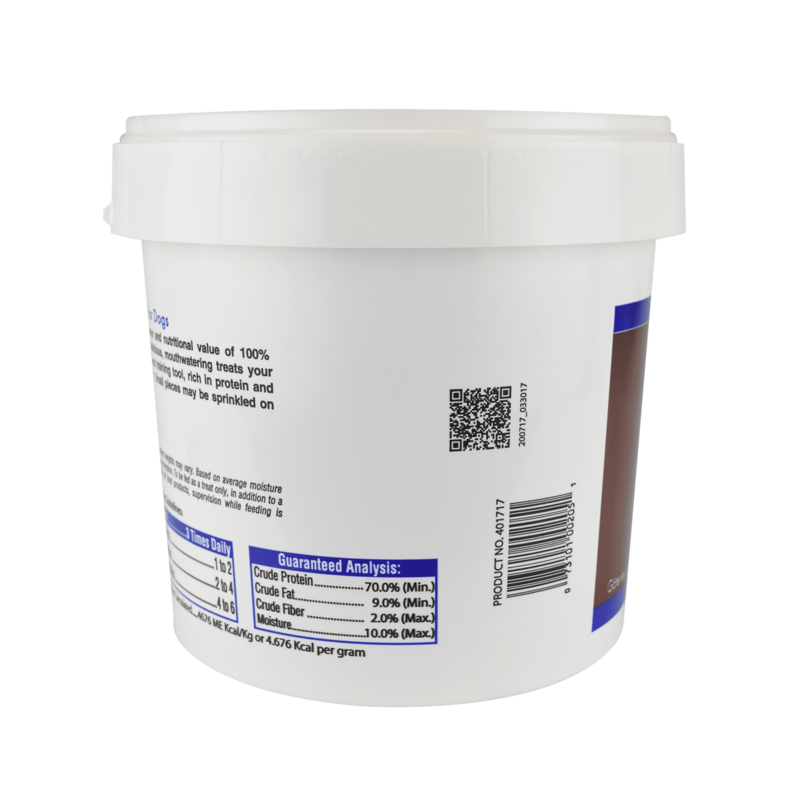 Fresh and convenient in sturdy resealable tubs or pouches. Supports a healthy digestive system with no genetically modified ingredients.